Cluck, cluck! 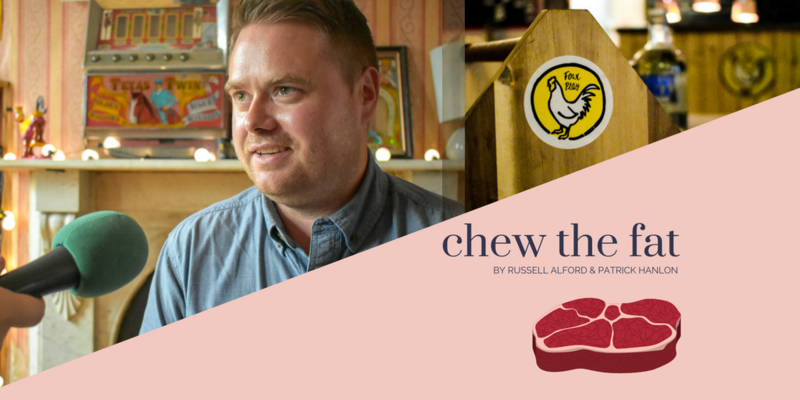 In this week’s episode of Chew The Fat, we chat to Fowl Play owner, The Big Grill co-founder and all-around BBQ genius, Andy Noonan. Chatting to him in his restaurant within a pub – the live fire chicken joint Fowl Play within the Square Ball Pub around Grand Canal Dock – we ask about how we chose to open his first kitchen in such a unique place, as well as some BBQ tips for those who feel amateur in their grilling skills and asking where he derives his global inspiration from. The Big Grill Festival is Ireland’s biggest BBQ and craft beer festival, which takes place every August in the leafy confines of Herbert Park, Ballsbridge, Dublin 4. A celebration of the art of cooking with fire & smoke, with local chefs and international talent coming together in a big barbecue love-in, this year (taking place 16-19 August) the line-up is stellar including some of our personal favourites: Jess Murphy (Kai, Galway), Paul Flynn (Tannery, Dungarvan), Robin Gill (The Dairy, London), Grainne O’Keeffe (Clanbrassil House, BuJo) and Fingal Ferguson (Gubbeen), plus so, so many more.